“You should run in a kilt”, they said. A couple of months ago JWalking reached out to us and asked if we’d do a test of their new running kilt, along with their active wear running button-down hawaiian style shirt. Upon receipt of two of each in the mail, they were immediately distributed between myself and our head Review Coordinator – Zac Marion. 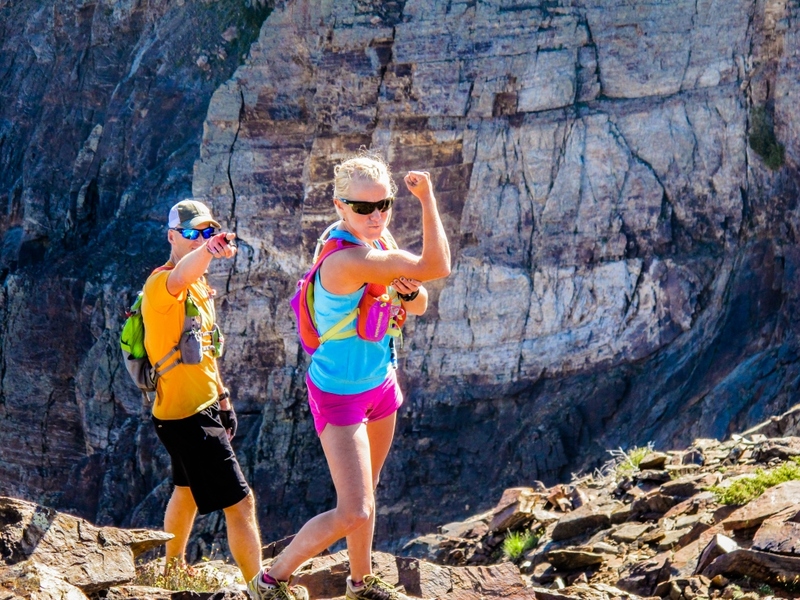 Neither of us have much shame and are known for willingly running in just about anything (see our How to be an Ultra Runner video to better understand). In addition to the kilts JWalking sent us two women’s running skirts, which will show up in our comparative skirt review in a few weeks. 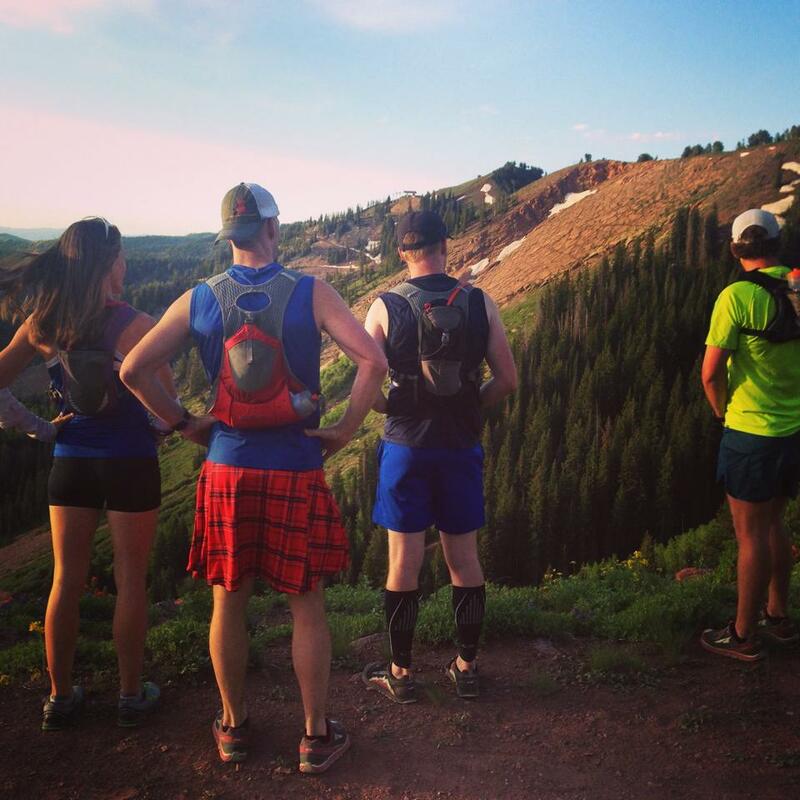 Zac and I put the kilts and shirts to the test, running in them frequently among the 11,000 foot giants of the Wasatch Mountain range. Specifics to the details of the tests are listed below, but we will preface these results with an overwhelming ‘thumbs up’ for JWalking Running Kilts. 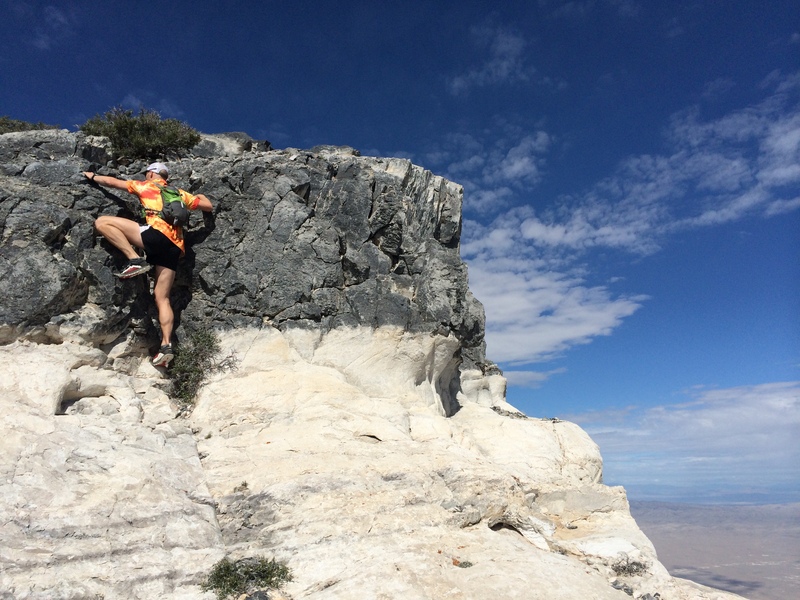 This category takes into account things like fabric, softness, moveability, breathability, and more. We found that the kilts were soft and moved well under duress. Like a true kilt, there is no liner short inside, leaving the wearer to determine what goes underneath…be prepared to answer that question too. It’s a kilt, for goodness sake. JWalking actually does a better job of making this look like a kilt than a few other companies we researched. This alone sets them apart from the other companies who claim to offer a kilt. We are likely not the best authorities on how a skirt (let’s be honest, a kilt is pretty much a skirt) should function. The Running Kilt offers a rear zip pocket and an elastic waistband. If you are looking for something to bushwhack in, this is probably not the item for you. Their fabric is made from 84% recycled fabric and 16% spandex. We got the skirts dirty, wet, rubbed them over rocks, and more. They seemed to hold up quite well and everything came back from a washing looking good as new. JWalking Running Kilts are $62. That’s only slightly more than a really good quality running short. Enough said. We loved it, simple as that. 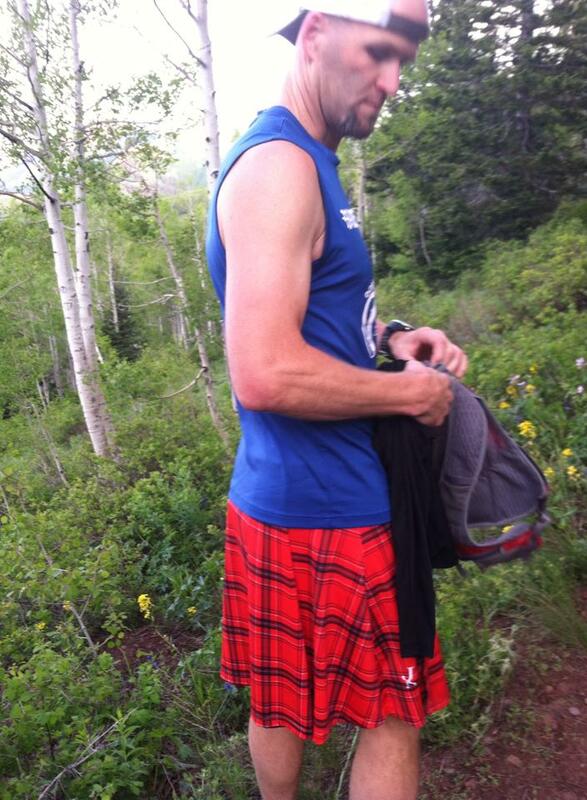 Running in a kilt is liberating, airy, and honestly, stylish. JWalking Running Kilts bridge the gap between function and fashion. So feel free to stand out at your next race or large group run, you won’t be disappointed. Just don’t ask what’s on underneath! We chose not to go through the formal review of the shirt as we didn’t want to draw too much attention away from the skirt, but it is worth some discussion. 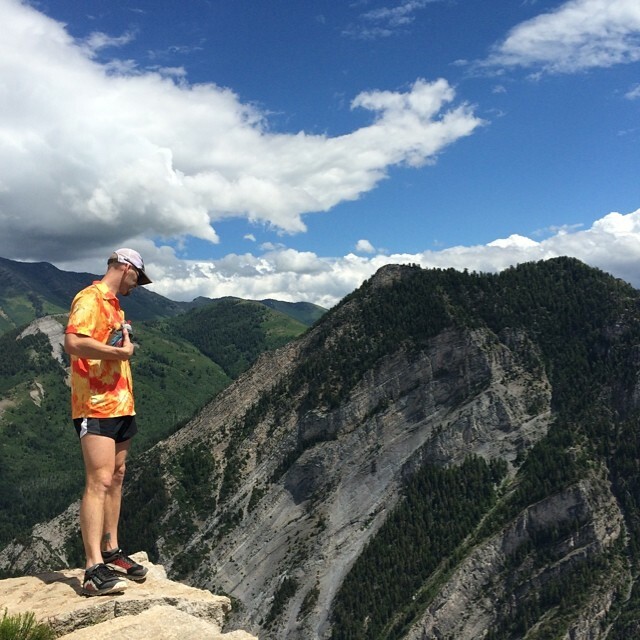 These shirts were tested in multiple situations, everything from running buff trails through Aspens and pines to 11,000 ft peaks in the Wasatch and other ranges. One of the great things about the shirt is that it can be buttoned and unbuttoned at will. 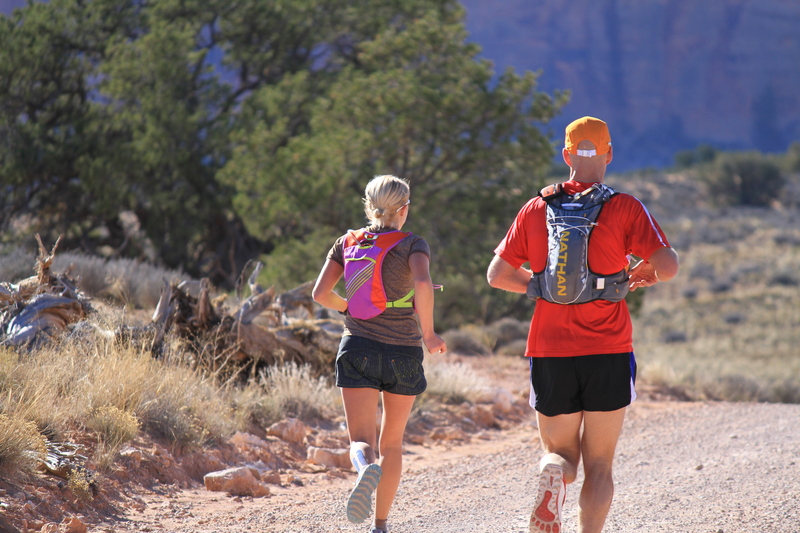 This was a real eye-opener for us as it truly opens the door to better running, offering a much greater advantage to heat regulation than with just a normal t-shirt. Made from the same combination of recycled materials and lycra, the Hawaiian Running Shirt is durable and comfortable. And trust us when we tell you that you will stand out in a crowd. The shirt is loud and slightly obnoxious. But maybe that’s what it is all about these days, setting yourself apart from the crowd of other lemmings who are preparing to run off into the void. 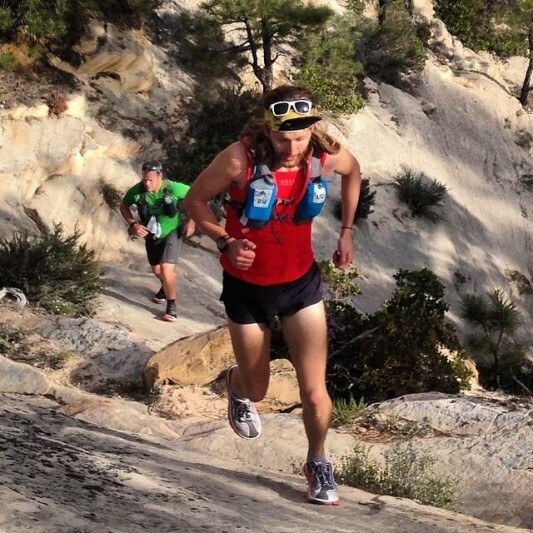 Ultimately, trail running is about you and the dirt beneath your feet, you should have a way to set yourself apart from nature. Personally, I can say that I am now a convert to the concept of a button-down running shirt. If I have one gripe, it’s that the collar on the Hawaiian Running Shirt is a bit floppy. It would bounce up and hit the side of my neck or ear. It was aggravating only in the sense that it kept feeling like I had a fly or mosquito on my, so I’d swat at it, hoping to brush it off, only to realize what it actually was. If that is the biggest negative, then the value of the shirt is spot on. 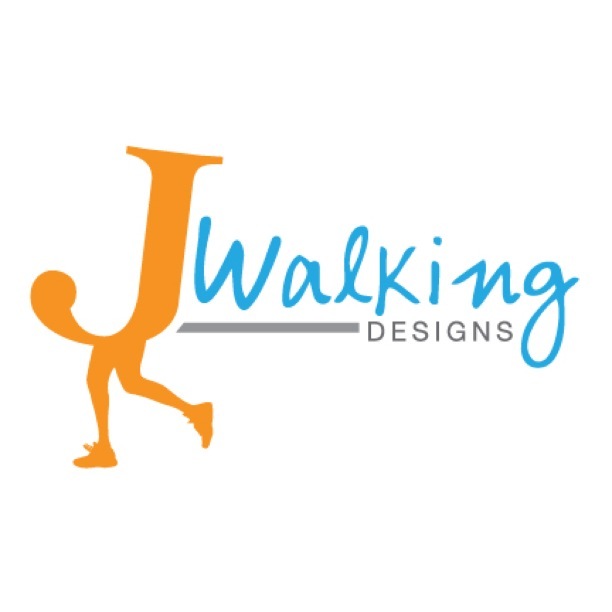 If you haven’t yet heard of JWalking, we recommend you head over to their website and find your future product now. Men in Kilts was started in Vancover, Canada in 2002 By Nicholas Brand with just $500 , a rusty old Honda, and a hand-sewn kilt. In 2006 Brent Hohlweg and Nicholas Brand Partnered to rebrand, with the intent of franchising across North America.